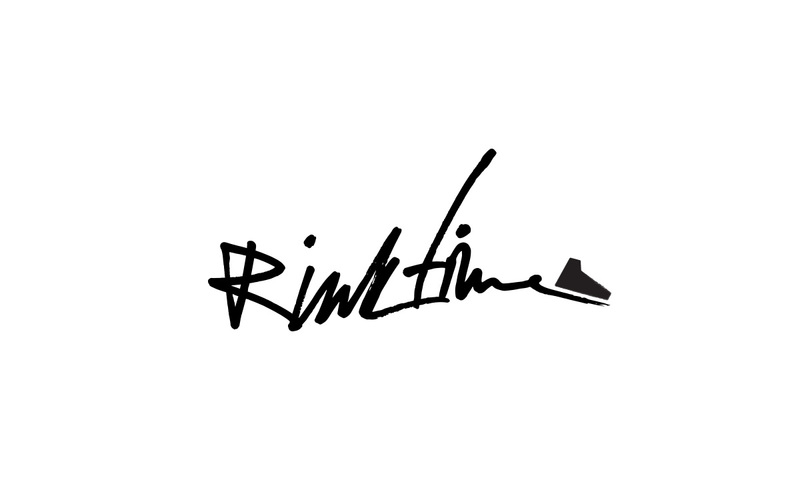 The RinkTime App finds shinny and skating times for outdoor rinks and arenas near you. We teamed up with ThinkData Works to create an energetic visual feel to help throw some warmth at anyone with a case of the winter blues. 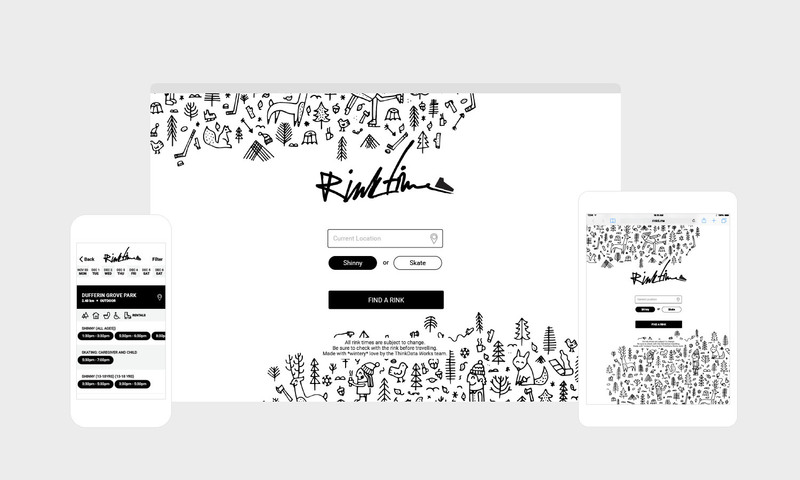 The visual brand we created for RinkTime captures the heart of any winter enthusiast while appealing to the beautiful simplicity of the season. 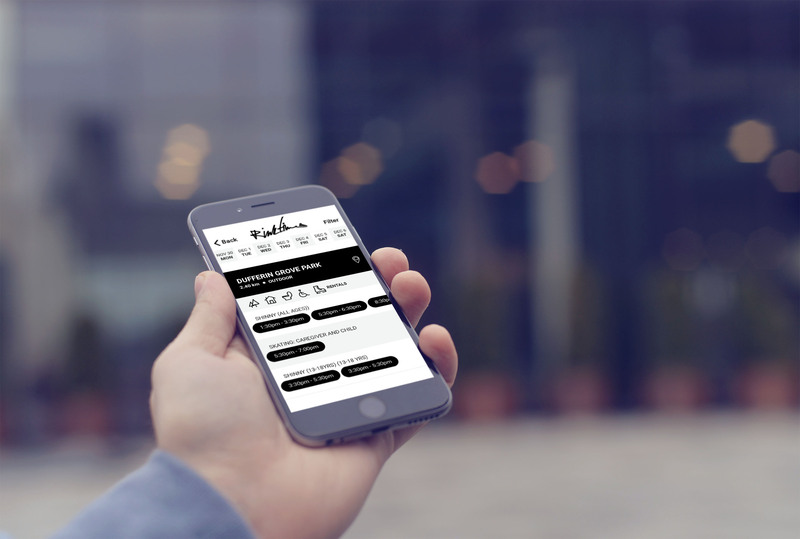 We put the userflow through its paces to arrive at an equally simple user experience, helping people discover new arenas and times around them, without pouring across multple park websites and excess information. “@rinktimeapp: @strombo Hey! we built an app to find shinny times in TO - http://t.co/entDO3u0bX ! Help spread the love & get people out?" Using RinkTime, you can search for the rinks closest to where you are, so whether it is date night or you're itching to play a bit of shinny, you know where to go. People have loved it. And showed, in a small way, just how useful open data can be.